I am a retired Canadian Police Officer and a British Victorian Militaria and British/Canadian Police antique memorabilia collector . 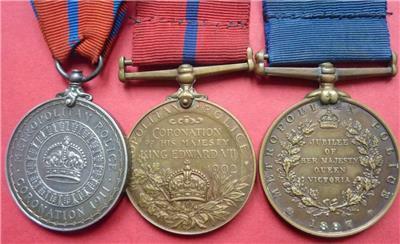 I was recently fortunate enough to purchase a very nice Metropolitan Police 1897 - 1902 - 1911 Coronation Medal Trio on original ribbons named to PC W. Bell D Division for my British Police collection which will be most proudly displayed. 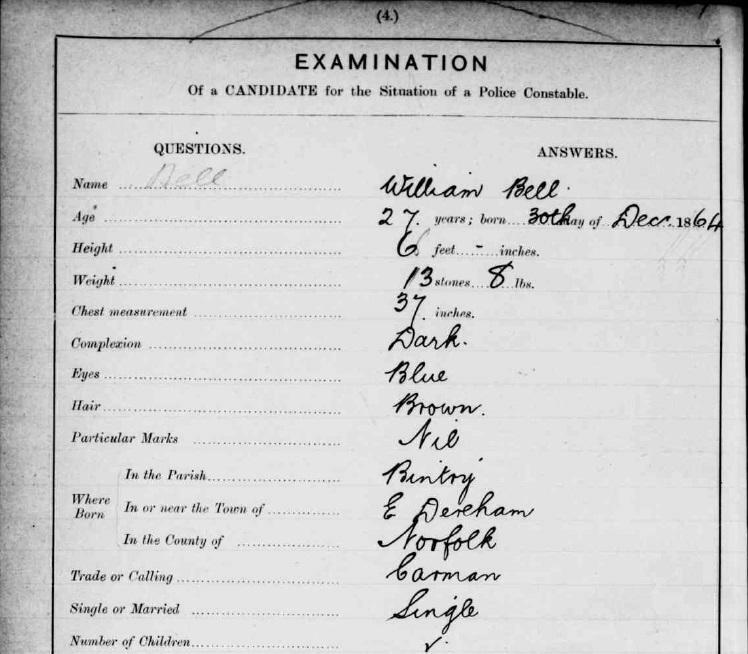 I am a complete novice when it comes to do any medal research and was wondering if any forum members could give me some guidance on researching PC Bell's police service in the Met? Thinking without a regimental number with such a common surname it might be a bit challenging. 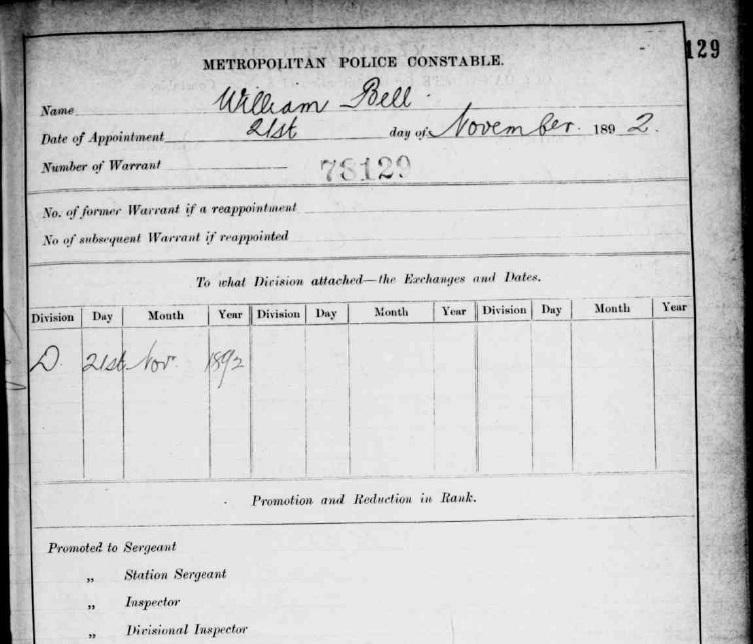 I imagine that with the discipline the Met police was noted for - the criteria would have been quite strict for receiving such awards (as to conduct with no disciplinary defaults) so I am very interested in learning as much as can be located about PC Bell's service. Also might anyone know the general criteria for qualifying for these medals? Any information would be most welcome and greatly appreciated. 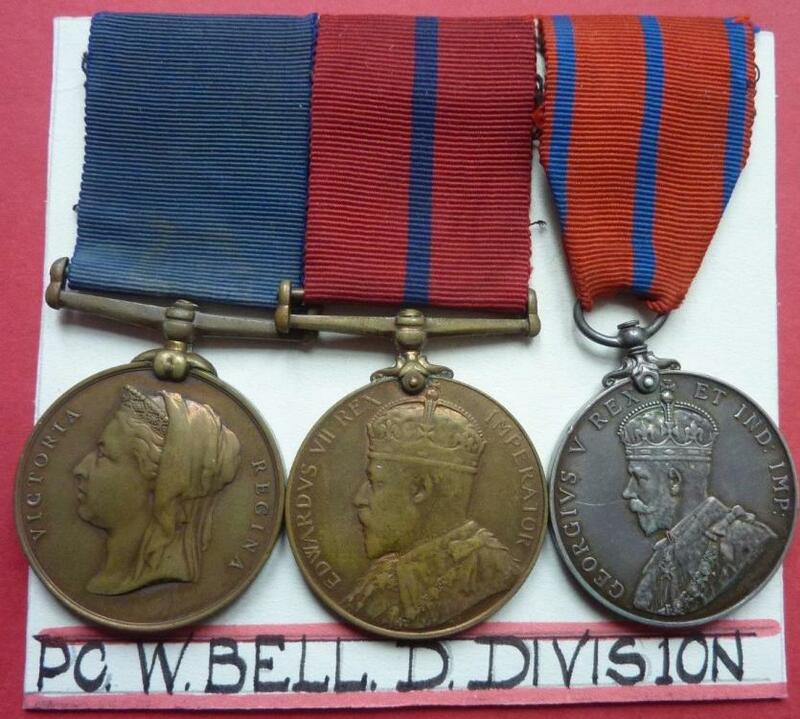 There was only one Constable W. BELL serving in "D" Division during the period covered by the medals. His Warrant No:- was 78129. His first name was William. He joined the Metpol. 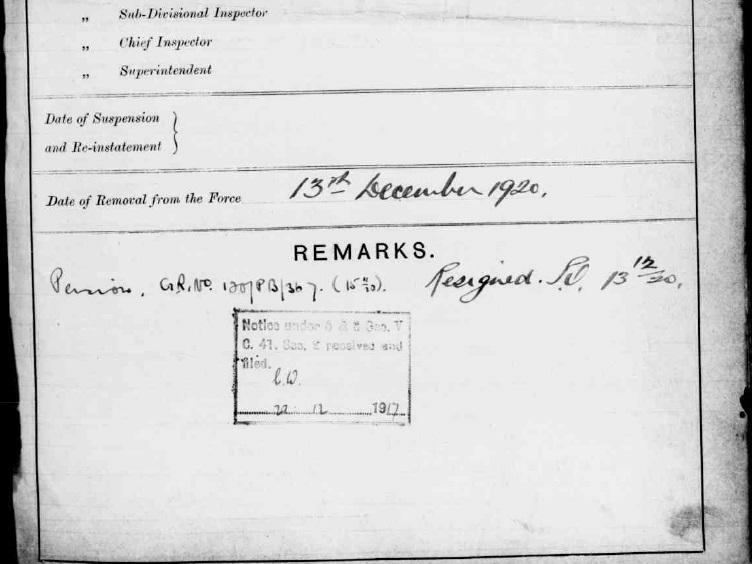 on 21st November 1892 and was posted to "D" Division. He retired on pension as a Constable on 13th November 1920. He spent the whole of his service in "D" Division (Marylebone sometimes referred to as St. Marylebone). I hope this is helpful. Wow Dave that was the quickest bit of information that I have ever received! Thanks so much for this extremely helpfull information which you took the time to locate for me. The warrant number and his first name I really thought would be near impossible to locate with this common surname on such a large Force. If you have the time it's worth searching the records here to see if he gets a mention although his name is obviously fairly common. Thanks Simon for the information - I checked the information contained on the site and it sure made for some very interesting reading! When he joined his Divisional Number was 458D (and would have been his collar number). Thanks for this great information on PC Bell which is very much appreciated. I never realized that the Met used this type of Attestation Documents for their newly engaged police members. Very interesting to see the question regarding membership in any illegal secret society! 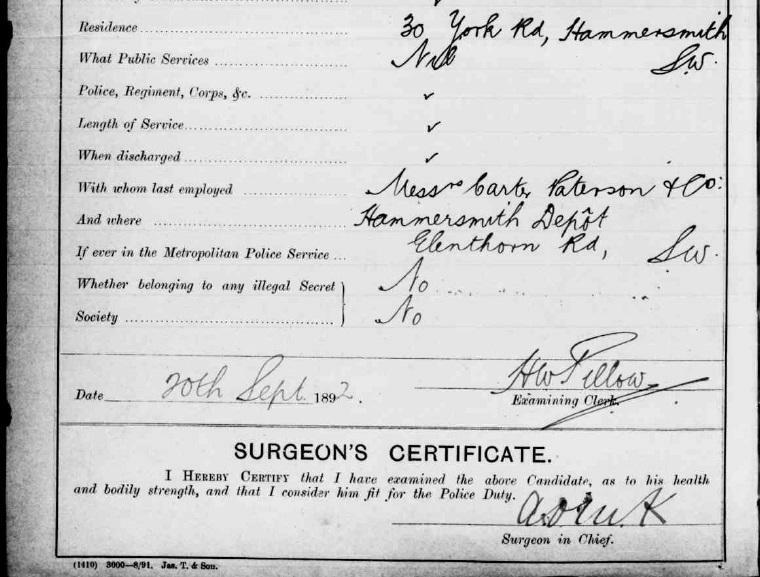 The Service Sheets are available from the National Archives for Warrant Numbers 74201 to 97500 - that covers the period Jan 1889 to Nov 1909 (files MEOP 4/361 to MEPO 4/477). 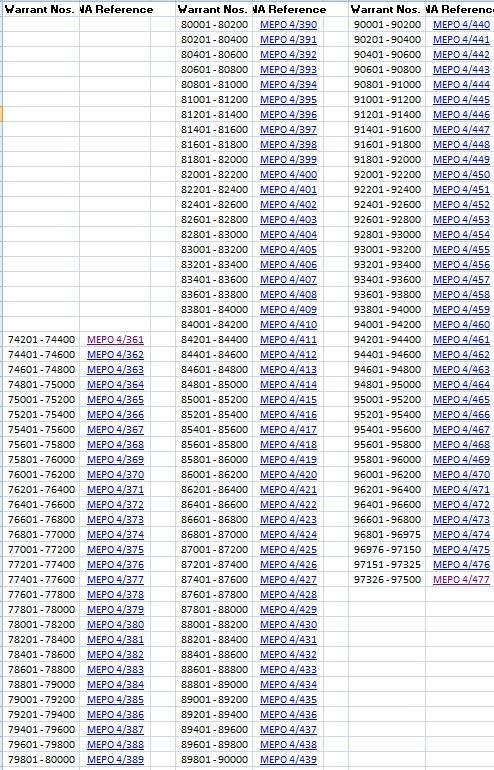 I have not found any equivalent records to cover men who joined before (ie up to Number 74200). 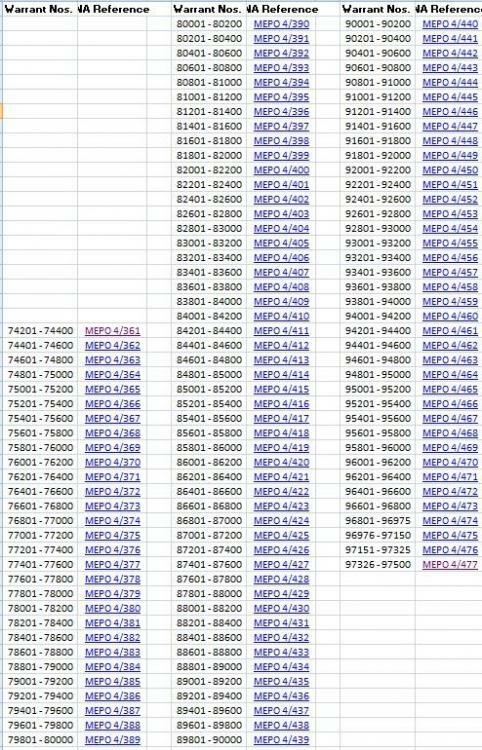 There must also be some sheets for men after 97500 but again they are not available either at the National Archives or through the Met Police Heritage Centre at Earls Court. Post 1930 they introduced a new system the Central Record System (CRS) and a few officers who earned the 1911 medal were still serving also have a CRS card. These are available through the Police Heritage Centre for a small fee and are better as they also show Commendations and Disciplinary Offences. I have quite a few police medals but only six of these recipients have a CRS card and all but one have just a single 1911 Coronation Medal (the other man rose to the rank of Supt and served much longer). Odin, thanks to your post above I was able to find some documents relating to my coronation pair recipient. Cheers!